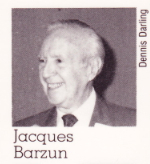 Publication by giving speeches is another way that Jacques Barzun’s influence spread. There were many occasions when what began as a lecture soon found it’s way into print. A dinner at the Institute for the Humanities at Salado (Texas) in the fall of 1988 supplies an example. 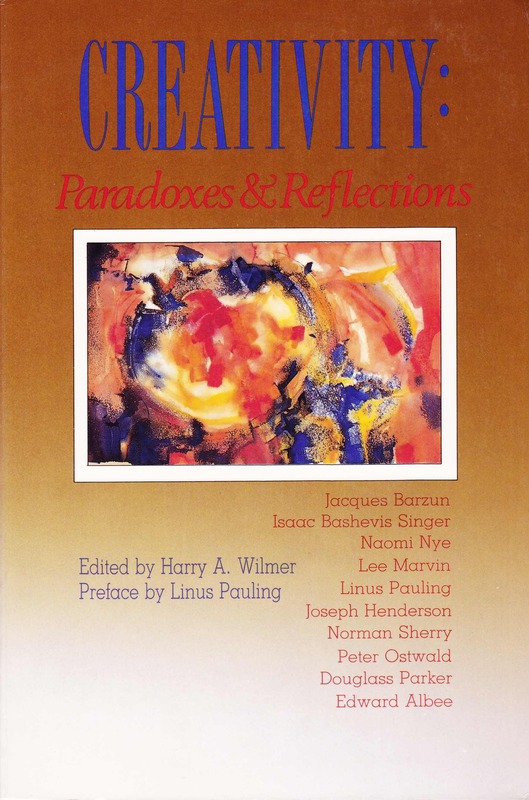 Barzun’s address, “The Paradoxes of Creativity,” went from spoken words to printed with the American Scholar‘s Summer 1989 issue (pp. 337–351). Some of the original atmosphere is recovered when audience questions and Barzun’s answers follow his talk as published in Creativity: Paradoxes & Reflections (Chiron, 1991). The Institute’s dinner/lecture series had a more inviting title: “Creativity, Alive and Well.” Barzun’s challenge to complacency is reflected by some responses from the audience during the Q&A session: “Must one be a genius in order to create?”; “I was concerned about your comment that this was an end of an era of creators.”; and “Is it not true that the pedestrian and prosaic individuals end up historically defining who is a genius and who is not?” Barzun’s replies make this publication of the “The Paradoxes of Creativity” preferable to those versions where the text stands alone, though Jacques has better company in Best American Essays 1990. The examples given to amplify or clarify his points after the talk, like much of Barzun’s thought, can jar listeners or readers into reconsidering reputations and “accepted ideas”: “I read Shelley, but I haven’t a single friend who thinks that Shelley was a good poet. 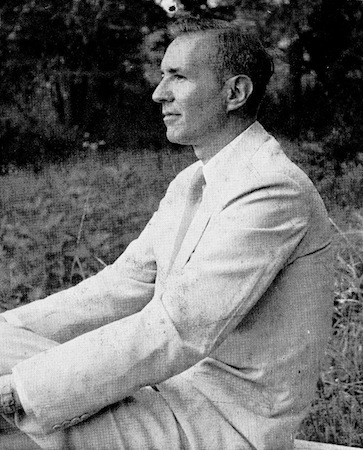 The whole Academy of Arts and Letters would sign a document saying he was not a good poet. My good friend W. H. Auden abominated him. He said there was no poet he detested more than Shelley, unless it was Racine. Those are the real opinions, but, of course, in the schools and textbooks and conventional talk, Racine and Shelley are great names. Somehow that doesn’t seem to me good enough. I think the only real admiration consists of direct enjoyment. Look at the way Mahler has come out of the ground after an unconscionable time. I continue to dislike Mahler, but I am glad that he is out in the open to be shot at, as well as enjoyed.” Dashing expectations in this way may be an impediment to Barzun’s popularity. Critical conclusions aside, his ability to articulate his views provides me with direct enjoyment. The impulse and the clever deeds [putting a mustache on Mona Lisa] are part of an irresistible historical sweep. Some of us might prefer to live in a time of construction, which has a different kind of excitement. Let no one repine, however. Rebuilding is bound to come, because true creative power is a phoenix, and the forces of destruction are clearing the space for its new flight, none can tell when or where. Meantime, if we are to recognize the bird when it appears, let us not forget that creation means making something new and making it out of little or nothing.